Two Sisters From The Right: Are Conservatives Anti-Science? It's difficult to find an article about Governor Rick Perry these days that is written with some degree of objectivity. Most are really on the hunt for issues, and his position on certain keypoints which can be used to discredit Perry and influence people's opinion. Politico, for one, is on a real Perry witch hunt which somewhat worries us since they, along with NBC, another Perry hater, will be sponsoring the debates at the Reagan Presidential Library next Wednesday. We'd advise the Perry camp to prepare for some really tricky questions coming from those moderators, especially when it comes to evolution and creationism. eloquently presents his accurate interpretation of Rick Perry's position on creationism. Jonah Goldberg, on the other hand, is spot on with his discussion of the liberal arrogance of claiming the right to declare which issues are chosen to determine if a person is pro or anti-science. Chaplain Mike, in the blog, Internet Monk, makes the following statement: "The Bible should not be used to argue about the subject of evolution, because the Bible does not speak to the issue." ......"If you’re interested in science, study it well, and use what you learn to serve humankind. But there is no reason the subject of evolution should trouble your faith, any more than quantum physics, astronomy, geology, chemistry, or any other scientific discipline should. Science is not what the Bible is about. It is simply not concerned with the subject." Two Sisters From The Right do not believe that the issue of creationism vs evolution should be a political concern. Liberals embrace the rhetoric of science, but not its cautious and dispassionate reasoning. The last time Republicans were roundly condemned as anti-science, it was for their resistance to destroying human embryos for stem cells. Their crude religiosity supposedly blocked imminent leaps ahead in medical progress. In other words, as a major figure in the self-styled party of science, Edwards made an outlandish assurance worthy of a faith healer. For the Left, science is as much a branding device and political bludgeon as a serious commitment. Edwards didn’t know the first thing about spinal-injury research and didn’t care — so long as he could sell demagogic flimflammery under the banner of glorious science. The extravagant promises about the miraculous cures on offer from stem-cell research have proven, at best, premature. Regardless, destroying embryos isn’t necessary to the enterprise. The allegedly anti-science policy of the Bush administration to prohibit federal funding for research involving the new destruction of embryos pushed scientists down the increasingly promising avenue of finding alternative sources of stem cells. In no sense that the ordinary person would understand the term is Rick Perry “anti-science.” He hasn’t criticized the scientific method, or sent the Texas Rangers to chase out from the state anyone in a white lab coat. In fact, the opposite. His website touts his Emerging Technology Fund as an effort to bring “the best scientists and researchers to Texas.” The state has a booming health-care sector composed of people who presumably have a healthy appreciation for the dictates of science. Perry’s offenses against science consist of his statements on evolution and global warming, areas where “the science” is routinely used to try to force assent to far-reaching philosophical or policy judgments unsupported by the evidence. Unless he has an interest in paleontology that has escaped everyone’s notice to this point, Perry’s somewhat doubtful take on evolution has more to do with a general impulse to preserve a role for God in creation than a careful evaluation of the work of, say, Stephen Jay Gould. Perry’s attitude is in the American mainstream. 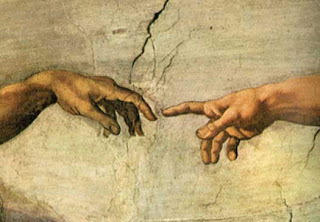 According to Gallup, 40 percent of Americans think God created man in his present form, and 38 percent think man developed over millions of years with God guiding the process. Is three-quarters of the country potentially anti-science? Similarly, Perry’s skepticism on man-made global warming surely has much to do with the uses to which the scientific consensus on warming is put. It is enlisted as support for sweeping carbon controls that fail any cost-benefit analysis and gets spun into catastrophic scenarios that are as rigorous as Hollywood movie treatments. For all their talk of fidelity to science, global-warming alarmists bring to the issue an evangelical zeal to match that of the participants in Rick Perry’s Houston prayer meeting a few weeks ago. Science is often just an adjunct to the Left’s faith commitments. A Richard Dawkins takes evolutionary science beyond its competence and argues that it dictates atheism. An Al Gore makes it sound as if there is no scientific alternative to his policy preferences. They are believers wrapping themselves in the rhetoric of science while lacking all the care and dispassionate reasoning we associate with the practice of it. It is in this vein that Rick Perry is branded anti-science. Ultimately, a president’s views on evolution count for little. Ronald Reagan shared Perry’s skepticism, and the nation survived. In Texas, Perry adopted policies designed to draw doctors and technology firms to Texas and create jobs. He succeeded. In this, he’s proven admirably empirical — more so, indeed, than the president of the United States. — Rich Lowry can be reached via e-mail: comments.lowry@nationalreview.com. © 2011 by King Features Syndicate. Where is Gadhafi And Who Are The Libyan Rebels?